Fire Weather Warning for the Far North Coast, New England, Northern Slopes and North Western fire areas. Issued at 3:12 pm EDT on Tuesday 12 February 2019. 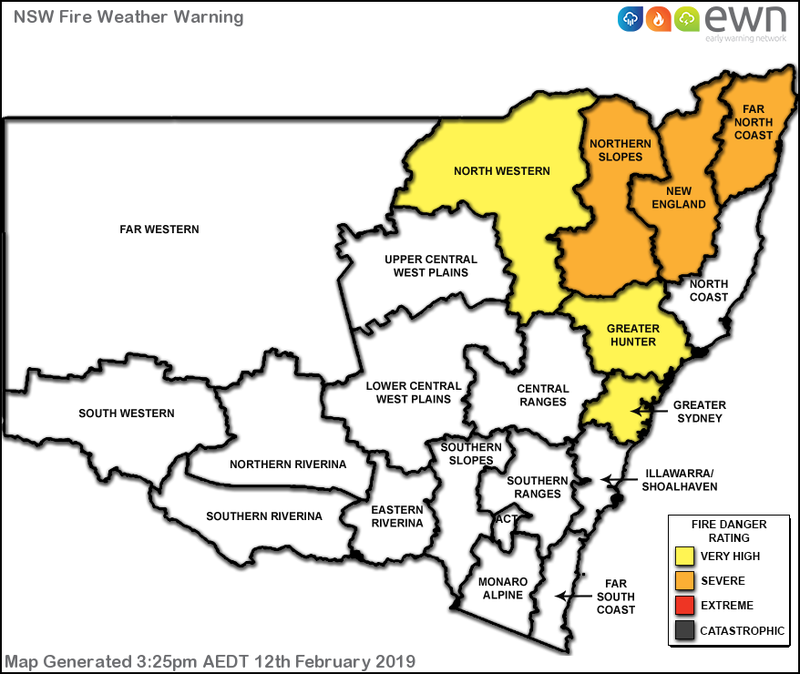 Hot, dry and windy conditions ahead of a cold front is generating elevated fire dangers across the North Western, Northern Slopes, New England and Far North Coast forecast districts. property - if in doubt, leave.